Competition Clutch Lightweight Flywheel for 05-10 Scion tC / 08-15 Scion xB (xB2) 2-725-ST. Competition Clutch Lightweight Flywheel for the Scion tC & xB w/ 2AZFE weighs in at 11.94lbs. Works great with OEM or aftermarket clutch kits. Comp Clutch Flywheels! 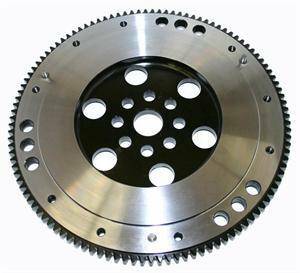 Competition Clutch Flywheel - Forged Lightweight Steel Flywheel: The Competition Clutch Forged Lightweight Steel Flywheel is recommended for naturally aspirated and/or street driven applications. This flywheel will work with ALL performance and stock clutch assemblies. Meets and exceeds SFI 1.5.